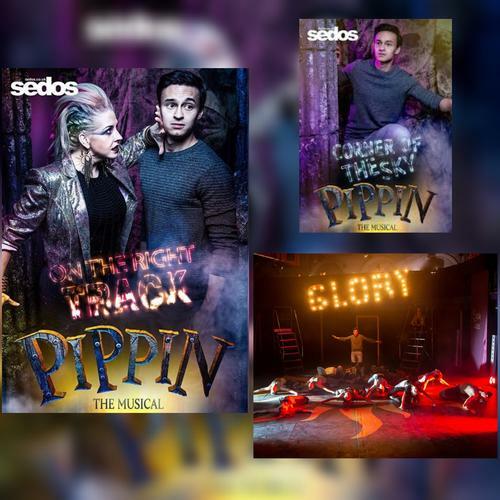 We had a chat with Joe, who is currently in the Sedos’ production of Pippin. Don’t miss it. Hi Joe. Can you tell us more about you and Sedos? Musical Theatre has been a massive part of my life for many years. I've constantly thrown myself into show after show growing up; you could perhaps call it an addiction. I was lucky enough to perform in the West End as a child actor before my voice eventually broke! Following school I attended Warwick University to study Civil Engineering, but I arguably ended up doing more musical theatre there than my actual degree itself. I now work as a project management consultant in central London, where I discovered the world of Sedos. I knew a few friends who had performed in past Sedos productions and spoke very highly of the company. Needless to say, they were not wrong! Sedos is often regarded as one of London's most premier ameatur theatre companies and that is certainly indicative of the high quality of talent within the company, on both the cast and creative sides. They produce eight shows per year, which consist of a mixture of plays and musicals. Despite everyone having day jobs, their level of commitment, dedication and enthusiasm is outstanding. Around working life, the typical Sedos production rehearses up to three times per week: two weekday evenings and one weekend afternoon. Everyone at Sedos works extremely hard and it is often easy to forget that you aren't working with professionals! Pippin (see my review here) is truly an 'extraordinary' musical. It has everything: epic production numbers, a captivating plot and a moving message. What I particularly like about Pippin is how differently you can envision the show creatively in terms of time and setting. There have been many different interpretations of the show which all bring something new and fresh to the story. Stephen Schwartz is a genius. Some of the songs are absolute gems. I particularly like 'Glory' and 'On The Right Track' - they are high energy numbers both vocally and choreographically. Also, I couldn't not mention Bob Fosse's influence which truly made the show what it is. His unique style really put a stamp on the show and was an instant hit with audiences globally. The show is definitely a challenge for everyone. It is a demanding show both physically and mentally. Every single cast member has so much to do during this show, there is barely time to take a breath. But without a doubt, everyone has embraced the challenge head-on and now that we are in the middle of our run, we are loving every single moment of it! In London, I definitely keep my eye out for cheap deals for new West End musicals. There isn't a particular style of musical I prefer per say, but a show that encompasses all three disciplines of acting, singing and dancing is what I am naturally drawn to. Some of my personal favourites I have seen in London over the past few years include In The Heights at the King's Cross Theatre, The Grinning Man at Trafalgar Studios and Matilda at the Cambridge Theatre. Oh, and of course Hamilton! !